We have been Roof tiling since 2008. We are in Perth WA based in Morley Western Australia, servicing with in 81 kilometers of Perth. From Mandurah to Two Rocks and Yanchep WA. Free Measure and quote written by reading the house plans. Tiles are calculated by square meter. Roofing - We specialise but not limited to roofing solutions such as re-roofing old and ages roofs. Installation of new and fresh roofs for your home. Not to mention replace old and rusted gutter at ease. Patio - installations, replacement and repair services. Our scope of gutter include flat patios, gable patios and hip ends patios. 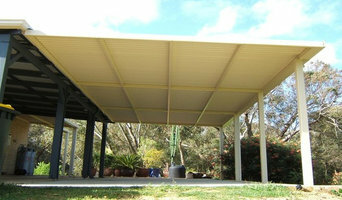 Renovation - services include car port restoration, room extensions, additions and alterations. Re-Development approvals - We also provide counsel approval services to ensure your development plans run smoothly. Here at Total Roofing Solutions, we pride ourselves on our high quality of workmanship and our friendly, professional conduct with you, the customer. Based in Perth, we service both the metropolitan area and the entire of Western Australia. We have successfully completed a number of projects in rural areas such as Karratha, Merridin and Albany. Our team of professionals are multi-skilled, working efficiently in both the commercial and domestic roofing fields, also assisting in Asbestos removal and commercial property roof maintenance. We offer a large range of products and provide comprehensive information to assist with making the right decision when roofing with us. Appeal Roofing is a Perth roofing company specialising in commercial, industrial and architectural design sheet metal roofing projects. Servicing Perth metro and rural areas in WA. We provide complete and quality services for: new roofs, re roofs, insulation, ventilation systems, roof plumbing services, structural damage and asbestos removal. Safety is our number one priority on site and we go beyond the basic measures to ensure we always operate in a safe working environment. We supply and install safe, environmentally friendly insulation products, including Pink Batts® Insulation, Kingspan Air Cell® Insulation, and EarthWool® Insulation. Eco Insulation also specialises in Whirlybird Roof Ventilation and Colorbond® Roofing. We supply and install these quality products to homes and businesses across the Perth metropolitan area. Perth’s Insulation,Ventilation & Roofing Specialists Eco Insulation is a WA family owned and operated business that specialises in the supply and installation of residential and commercial roof insulation throughout the Perth metropolitan area. Established in 2006, Eco Insulation has gained a solid reputation for its quality eco-friendly products and high standard of customer service. Our trained staff and qualified installation teams have extensive experience in the building industry and are committed to providing quality insulation solutions to Perth homes and businesses. 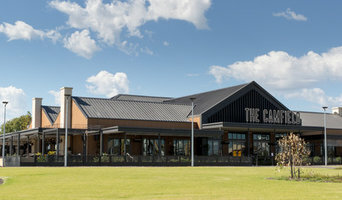 Our team can provide advice and recommendations to accommodate the structure of your premises and your budget. 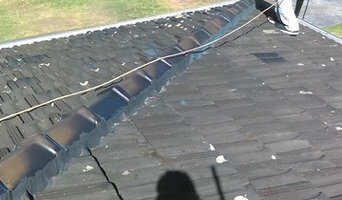 Roofing 2000 Is Experienced Roofing Companies In Perth WA,Australia. We Specialise In Commercial Roofing, Industrial Roofing , Asbestos Removal & Domestic Roofing. Pro Asbestos Removal Perth is a company whose foundation is based on the dangers that asbestos poses to people. The founders of Pro Asbestos Removal Perth understand that asbestos has a latency period of up to 50 years and people are hardly cured of this exposure. The company has been in existence for more than 10 years. It aims at asbestos removal and minimizing the number of people exposed to this material as much as possible. Why choose us We prioritize safety for our professionals and clients. Depending on the degree of asbestos exposure, we may decide to remove the material entirely or encapsulate it to prevent exposure to the building occupants. We are properly licensed and accredited. Our company has access to public liability insurance to cover any damage that may be caused by asbestos exposure while working. Above all, we use up to date technology to ensure that our employees deliver quality work that is done professionally. Our services include: · Asbestos removal We use proper equipment to offer advanced remedies to your asbestos needs. We comply with health regulations to ensure that our services are environment-friendly. · Asbestos testing We advise our clients to perform a lab test on materials that they suspect might have asbestos. We use an accredited lab to provide test results within 24 hours. This is to ensure that our professionals deal with only the contaminated material and ensure its entire eradication. · Asbestos disposal We dispose asbestos safely to the landfill sites according to the environmental regulations. Service location · Perth North · Perth South · Perth East · Perth West. Before any operation, we perform an asbestos inspection to your building for free and then proceed with safe procedures for asbestos removal. Our clients can only pay when they are satisfied that the job has been fully done. At Pro Asbestos Removal Perth, we prioritize safety first to our clients. We understand that it is not your fault that your building has asbestos that is why our costs are very affordable to both low and high-income earners. Don’t expose yourself further to asbestos today, call our customer care support on 08 6001 6050 for inquiries. Our business hours are from Monday to Friday at 9:00 AM to 5:30 PM. Asbestos Testing and Removal, Don’t waste time, Asbestos Watch Perth can connect you to Removalists in your area. Get 1, 2 or 3 quotes NOW! Fully Licensed & Insured. Services: Testing, Walls, Floors, Fencing, Ceilings, Pipes, All. Roof Renewals specialises in... Roof Coatings, Ridge Capping, Roof Ventilation, Gutters, Downpipes, Whirlybirds and all general Roof repairs. Roof Renewals has been operating for 14 years, during this time we have been meeting the needs of customers with all aspects of keeping a roof and its ancillary fittings in good condition. We are a proud member of Local Trades. We offer free on-site quotes and advice throughout the Perth metro area as well the Wheatbelt and Goldfields of Western Australia, so call the Doc today for all your re-roofing and wall restoration needs. 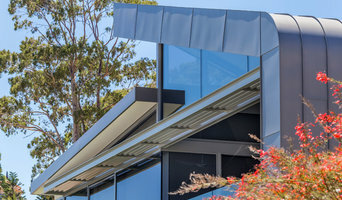 Roofing and gutter contractors in East Perth, Western Australia can install a new roof, repair an old one or extend an existing one, as well as repair and replace gutters. They can inspect roofs and guttering after damage from harsh weather, and also offer services such as roof insulation, and general maintenance such as roof and gutter cleaning. 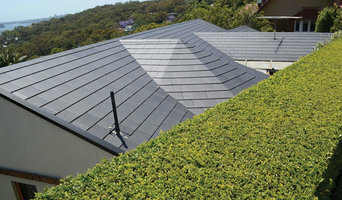 Some specialise in specific types of roofs, such as tile, metal or Colorbond roofing. Here are some related professionals and vendors to complement the work of roofing & gutters: Building Project Managers, Specialty Contractors, Cladding & Exteriors, Doors, Garage Doors. Find a roofing company and gutter professional on Houzz. Narrow your search for professionals by selecting your nearest city or postcode. Look at portfolio and product photos, and read reviews to find the best roofing company and gutter professional for your East Perth, Western Australia home.